When I was a kid I dreamt of far away countries, mysterious places and beautiful jungles. I was curious and passionate about traveling and I was sure I would meet interesting people. I was also dreaming about my Prince, waiting for me somewhere out there. Then something happened, my father left our house and went to live with another woman. That’s when my dreams shattered and I became closed and didn’t trust people anymore. From that time on I stopped believing in love, it was just like a nice but impossible fairytale. I didn’t want to get involved with anyone and I hated everything to do with marriage and weddings, I had lost faith. I was 20 years old when I started to travel, alone. With my mother afraid of flying, I just cannot tell you how many fights we had! She was very worried about me, but I was too curious, stubborn and maybe crazy to stop travelling. In 2011 I started planning my third solo trip but I didn’t know where to go; I couldn’t decide between Thailand and India and that’s when my mom said something that she’s regretting right now: she suggested India. I went there in March 2012 and I just fell in love with that wonderful country. 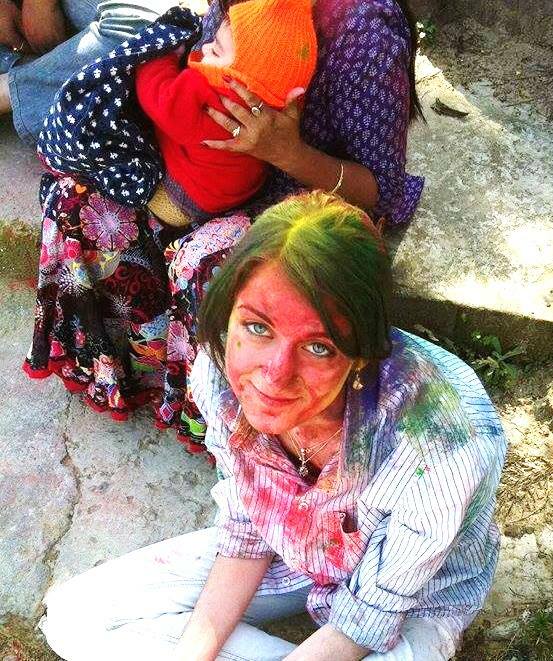 India was just what I had been looking for, but I didn’t know it yet! Going to India was fatal for my soul, so much so that sometimes when I’m at home in Italy, I can’t stop thinking about the smell of warm, humid and perfumed with spices air. If I get a hint of it, I feel excited and my heart runs faster… Lively, colorful, surprising, amazing as well as shocking and scary at times. 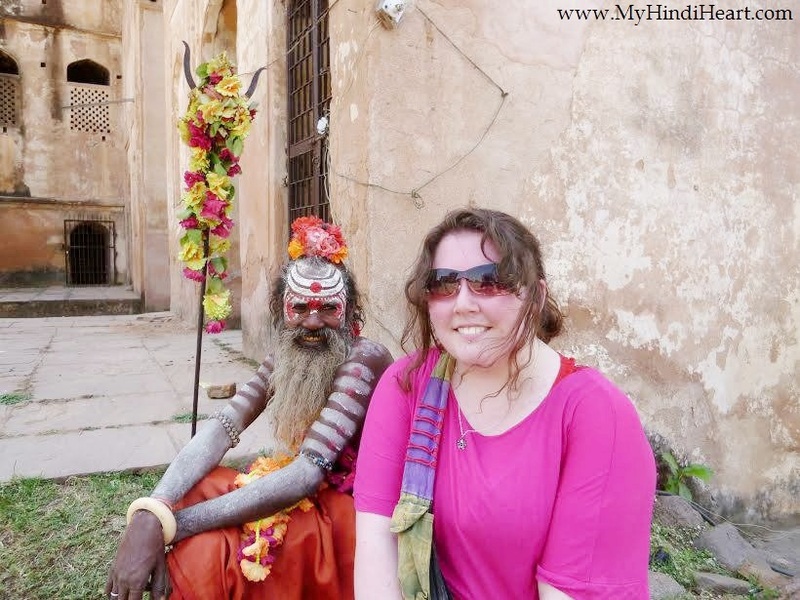 I fell so deeply in love that I couldn’t help but go there a second time and, as I wanted to get closer to the culture, I tried to get some Indian friends. But how to make friends in India when I am stuck in Italy? I created a profile on an pen pal website. It wasn’t the first time I used such a thing, I had always found nice people to talk to, but this time something was different. One day I saw a profile with some awesome photos of hills, jungles and flowers taken with passion. I couldn’t resist writing to the photographer. That day I met my love. We started to exchange e-mails, then we started to chat and it was like we has known each other from long ago. Somehow, I had some problems at work and with my family, they were so consuming, I stopped talking with him for a couple of months, even though he looked for me several times. Anyway, the plan for my second travel to India was taking shape and the day before leaving Italy I saw that he was online, so I decided to write to him. “Tomorrow I’ll be In Delhi”, sending him those few words was the best choice I could take. It changed my life forever, the day I arrived in Delhi, we went out for a dinner in Gurgaon, at Rockman’s (which sadly closed one year ago, so we couldn’t go there for our anniversary). We were both so shy that at first, we didn’t know what to say (and he was looking so good! I didn’t expect him to be so handsome! ), but as we started to talk, everything seemed so natural. It felt like we were old friends, knowing each other for years. Our words were flowing so fast, like never before. We shared our stories and our dreams, we had the same interests and adventurous spirit. That was our first date. After that night nothing was the same, it was like we had gone mad. We were calling each other everyday and even though I didn’t believe that it could last between us, he showed me I was wrong. I was wrong about everything, I was wrong about love being impossible, about not trusting anyone, about not opening my heart. He has always been patient when I feel insecure and when I am scared of the future. He’s always on my side and I know he always will be. That’s the reason I can face my family who are not accepting of our relationship. He’s with me and I’ll never be alone, even if I loose my family, I’m not alone. In August, we had our engagement party (which my family doesn’t know about) and on December he will come to Italy where we will have another engagement party. Whether my mom likes it or not, next year we will get married. We waited two years because we wanted the blessings of our families and we wanted to do everything as it should be done, but now we can’t wait anymore! I know my mom will never say “if you’re happy, I’m happy, too”, she will always make me feel guilty because I want to go live so far from my family, but is it my fault? Falling in love? Then I’m guilty and happy to be! I love him, I will always love him and I feel I have probably I loved him in other lives too. He is the only person for me, I feel it my blood, in my heart, in my soul. I love my fiance and I’ll stay by his side at any cost! I want to give big thanks to you, Lauren! Because knowing and having your example makes me feel better, I’m not the only crazy person who wants to live India with her love. When almost everyone is against you, it’s a relief to have someone on your side!